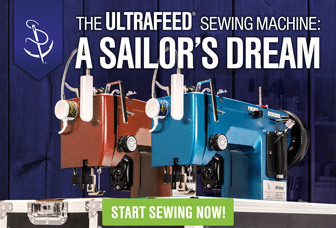 Most boats have some sort of Canvas on deck, be it a Bimini, Dodger, or Sail Cover. Canvas just like any other surface on your boat needs regular cleaning. But even with the best maintenance after a few years the waterproofness of your canvas will wear away. No need to worry as you can reapply the waterproofness with a spray coating. There are many fabrics on the market but the most popular is Sunbrella woven acrylic fabric. Scroll to the bottom of the page to read Sunbrella’s instruction on maintaining the canvas. 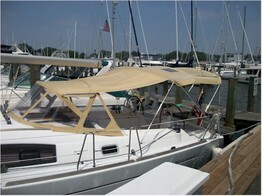 Glen Raven manufacturer of Sunbrella recommends 303 High Tech Fabric Guard™ as the preferred re-treatment product. When cleaning Sunbrella always use a mild soap like Ivory snow, or woolite. Keep the water cold to Luke warm not hot. Before you start clean off loose dirt and remember if done regularly you won’t have lots of dirt to clean. Once the loose dirt is removed use a soft brush to brush in the cleaning solution. Rinse with fresh water and then air dry. Once dry you can apply the 303 or other protectant. If you have windows make sure the 303 does not get onto them. The best bet is to cover the windows with paper towel so the spray does not get on them.